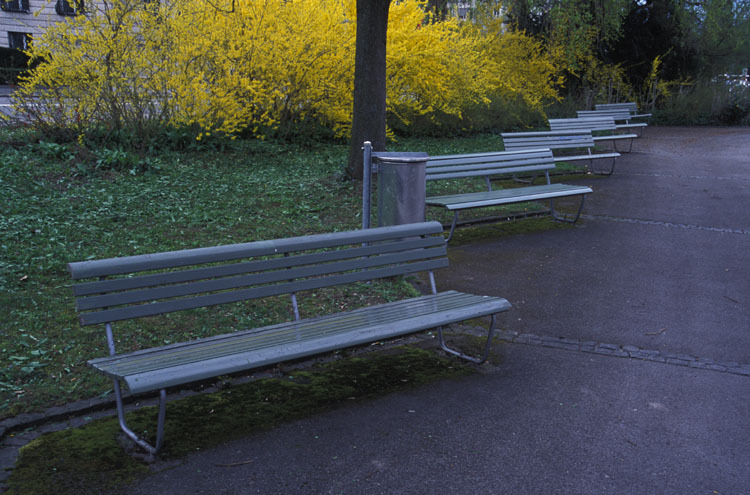 From benches in Pontresina to benches in Zurich. It took three trains to get back to Zurich from Pontresina, but they were all well coordinated and on time, as can be expected of Swiss trains. These deserted benches were in a park on the waterfront about a mile from the city center.